Emilio “The Honey Badger” Urrutia is known for bringing excitement to the cage when he competes in ONE Championship. The American featherweight gave fans a taste of his all-action style with a win against Edward “The Ferocious” Kelly and a spectacular TKO of Bruno “Puccibull” Pucci in his first two contests in the organization. 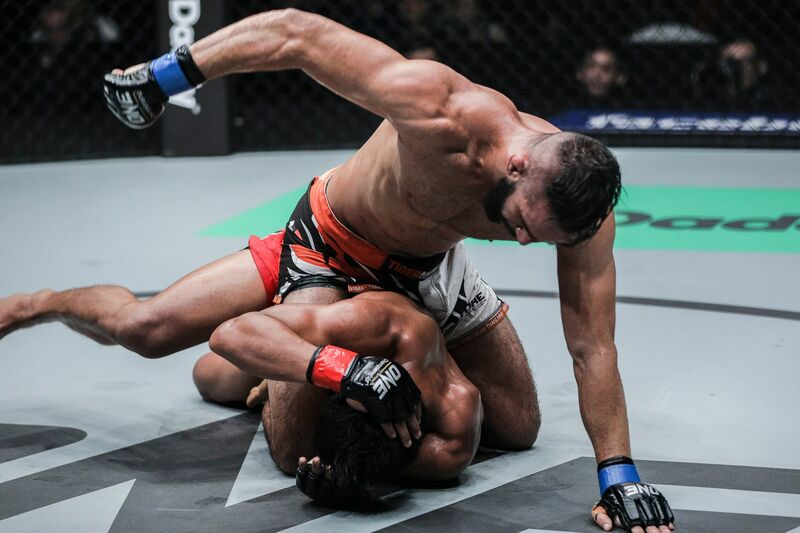 His last match, against “The Underdog” Li Kai Wen, was one of the best bouts of the year so far, so it looks like the blueprint is set for another adrenaline-pumping battle when Urrutia faces Kazuki Tokudome at ONE: PURSUIT OF GREATNESS in Yangon, Myanmar. However, being involved in another toe-to-toe war on Friday, 26 October is not at the top of his list. If possible, he would rather the bout is much more like his contest against Pucci – one-way traffic in his favor. “Hopefully. Well, as long as I win, I’ll take it. I’ve had some tough bouts in ONE, and this is my toughest. If it’s a fight of the year, it means it will be pretty even,” he says with a laugh. “But, I’m ready for it. If that’s what I’ve got to do, then that’s what I’ve got to do. If it becomes a crazy, drawn-out slugfest, I’m down for the cause – always. The 31-year-old has embarked on the most thorough training camp of his career at Tiger Muay Thai in Phuket, Thailand to make sure he has his hand raised at the end of the night. His time in the gym has been tailored to make sure his skills are honed specifically for his Japanese opponent, who is a skilled competitor. “For this fight, I’ve only been sparring with southpaws and bigger guys to get used to his strength, because he was at lightweight for a long time,” Urrutia explains. “At Tiger, I have a lot of great southpaws here, including another ONE Championship fighter, Tetsuya Yamada. He’s the same size as Tokudome, and he knows him, so he’s been giving me some awesome looks in sparring. I’ve been doing a ton of rounds with him. Urrutia admits he is wary of Tokudome’s skills, however. The man from Tokyo became a Pancrase Lightweight Champion in Japan, and he knows he has to be careful of the powerful striking and grappling ability that took him to those heights. That is why “The Honey Badger” and his team have a game plan to counteract the judoka based on the way former ONE Featherweight World Champion Narantungalag “Tungaa” Jadambaa defeated Tokudome in July. “I think we’re pretty equal in power, but I think I’m going to be a little bit faster and a little bit more aggressive. My style is real gritty,” Urrutia says. “I think Jadambaa wrote the blueprint of how to beat him. He’s not too busy on his back, so I kind of want to get back to my wrestling roots – closing the distance and putting him on his back, keeping him there and working my big ground and pound, punches, my passing game, maybe get to side control and work my knees on top. 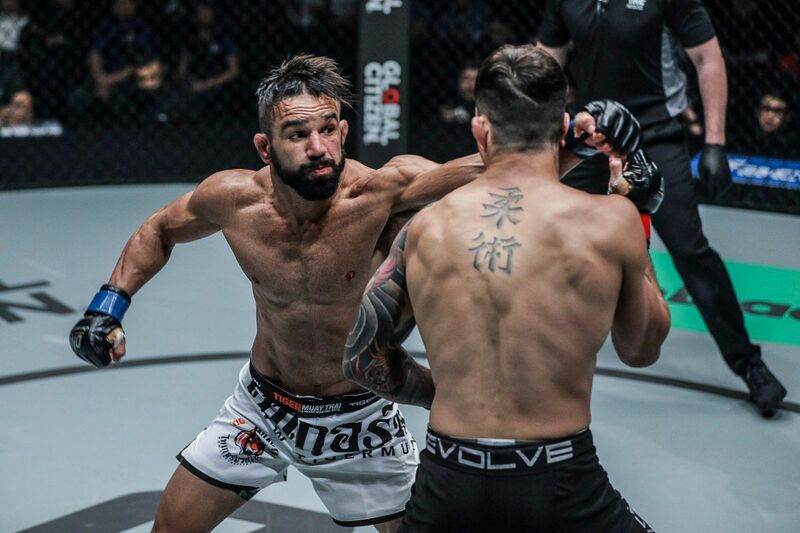 This featherweight match-up will also be a first for Urrutia, as he competes in Myanmar for the first time at Yangon’s Thuwunna Indoor Stadium. It is a country and a venue he has been looking forward to competing in ever since he visited last year and experienced the population’s passion for martial arts. “The fans are such huge fans of fighting over there. I had some stitches on my nose, and everywhere I went, they asked me: did I fight, did I know ONE Championship, and did I know Aung La N Sang,” he recalls. As the American remembers his trip to “The Golden Land,” he lights up. Suddenly, his reservations about putting on a show in a back-and-forth battle go out of the window, and he promises nothing short of a sensational match. “Actually, thinking about, with the fans going crazy, for sure, it’s going to be fight of the year. It’s going to be crazy. I’m going to lose my head in there. That’s when I bite down and start going for it,” he says.